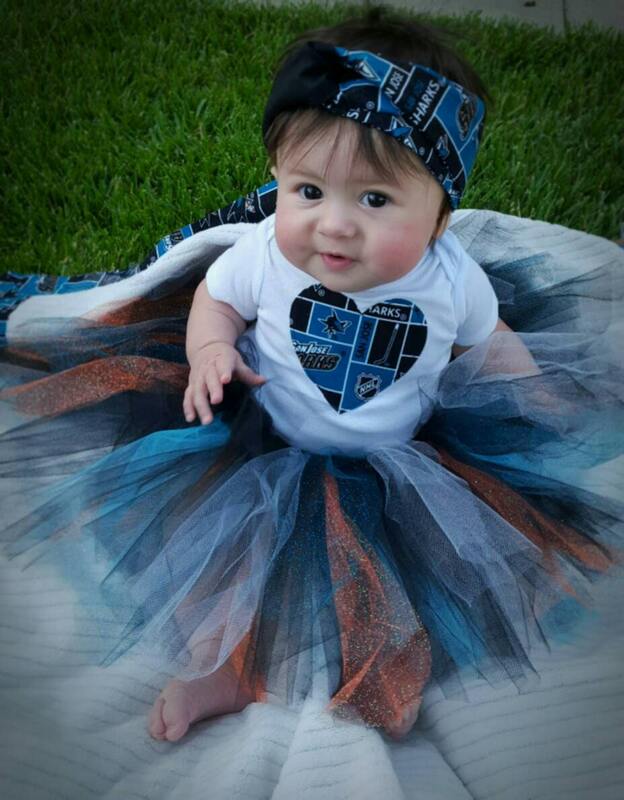 3 piece San Jose Sharks Hockey 12 month old outfit. 3 piece San Jose Sharks outfit. Listing includes onesie, tutu and headband. Please see the sizing below. 12 month 100% cotton prewashed onesie made by Gerber. Heart is adhered with 100% cotton Sharks print and a single stich around the perimeter. Tutu- approx. 14"+ by approx. 9" long. Has both glittered and unglittered tulle.